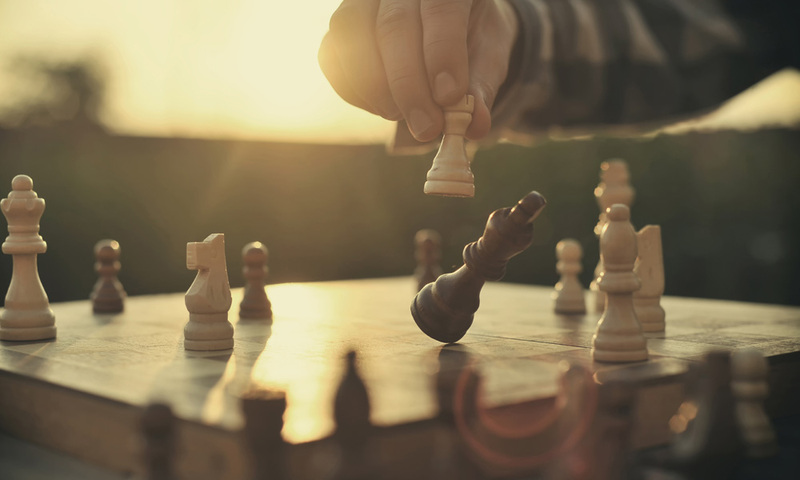 Whether you are a credit union or community bank, a trade association or a rural electric co-operative, your organization needs a strategy in order to achieve its goals. But, how do you create a strategic plan that’s a living, breathing guide to success, and not just a document that sits collecting dust on a shelf? BoardPaq asked that question of governance experts Thomas Bakewell and Carol Weisman, who discuss strategic planning in a BoardPaq webinar titled “Getting Strategy Right: Board and Management Together”. You can watch the webinar (along with other governance related webinars) on BoardPaq’s blog and webinar page. While Thomas and Carol’s webinar contains an extensive amount of guidance on effective strategic planning, we will highlight the five essential steps of developing a strategic plan in this blog. Step 1: Board and management must agree on the mission and vision of the organization. Before you start creating goals and developing tactical strategies to achieve those goals, your board and management must have a basic agreement on why the organization even exists to begin with. It may seem like a given that everyone understands the purpose of the organization, but that’s not always the case. For example, some members of a trade association board may believe the organization exists to advocate for a broad set of member concerns, while other directors may believe the organization exists to provide resources that make members better business owners. Whatever your organization does, make sure you have agreement on the mission and vision before proceeding to strategy. Step 2: Establish guidelines for the development of a strategy. Hopefully you have a diverse, passionate board filled with members who believe in your mission. If you do, consider yourself lucky—even if that doesn’t always feel like a “problem” you should be grateful to have. The reason why that blessing can seem like a problem is that it can make important discussions, like strategic planning, difficult. Fortunately that type of difficulty will result in a better strategic plan. However, make sure you begin the planning process by laying down ground rules and guidelines. The result will be a process that, while difficult, will be that much smoother. Step 3: Discuss strategic alternatives. Boards and management can come to the strategic planning process with a fixed strategy or set of ideas. That’s not a bad thing, and many of those ideas and strategies may end up in the final strategic plan. However, make the most of your strategic planning process and consider other alternatives and ideas. Step 4: Approve the strategy in written documents. Make sure your strategic plan is documented and distributed to key stakeholders. This might seem like a no-brainer, but many organizations, particularly resource-challenged nonprofits (which describes most nonprofits), often fail to take this critical step. The result is a strategic plan that can easily be misinterpreted, forgotten, or disregarded. Step 5: Discuss strategy at every board meeting. Making the strategic plan an ongoing focus of board meetings will ensure that management and directors are working toward achieving the goals they identified during the planning process. Of course, directors of nonprofits are almost always volunteers, and their time is limited. If every board meeting should have a strategic component, then those board meetings must be efficiently run. BoardPaq can help your nonprofit do that. Create a strategy that ensures your organization is relevant, impactful, and making a difference.